Military Shoe Insoles Black | BUDK.com - Knives & Swords At The Lowest Prices! 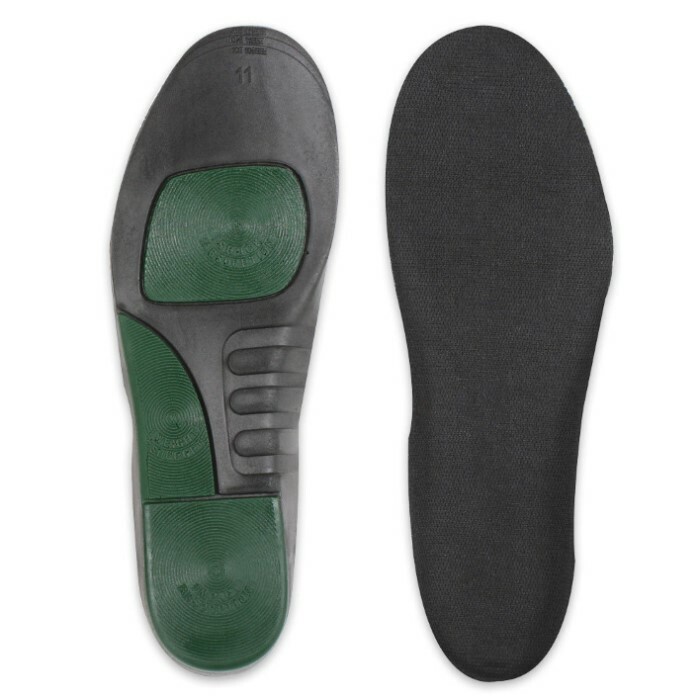 These Military / Public Safety contoured insoles feature contoured arch support, rubber bottom with heel and ball of foot support. The bottom is polyurethane and the top is cloth. Insert in your shoe or boot for extra comfort. Available in sizes Small (8-9), Medium (10-11) and Large (12-13).